We carry Ring Gears for your GM / Chevrolet engine. 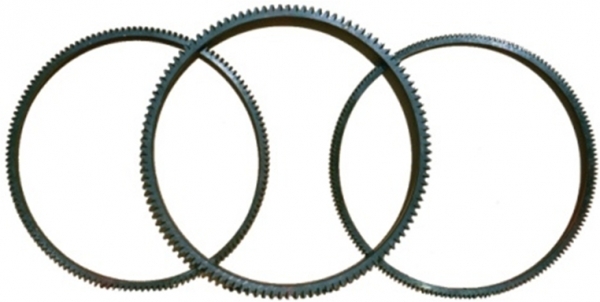 We have Ring Gears for all truck makes. With a massive inventory of new GM / Chevrolet Ring Gears, First Motion Products has the GM / Chevrolet Ring Gears you need. We offer same day shipping and next day delivery to a 27 state area. Along with GM / Chevrolet Ring Gears, we offer an unmatched inventory of GM / Chevrolet Ring Gears for Diesel applications. Our strength is the ability to service “truck down” and rush shipments. We fill those requests for the every-day parts or hard-to-find parts. See our listing below of GM / Chevrolet Ring Gears we offer. If you would like a quote on a GM / Chevrolet Ring Gear, contact us by calling 1-573-468-3840 or filling out a Request for a part Quote . Our inventory is constantly expanding, so let us know if you need a GM / Chevrolet Ring Gear not mentioned on the above list. We may have it in stock at one of our five warehouses in St. Louis, Ohio, Pennsylvania, North Carolina, or Texas.